It's almost that time of year! I love Bonfire night and there are plenty of places to enjoy an organised display across our region this year. Please remember that this post has been written in advance and timings can change so please always check details with venue direct before booking/making a trip. Let me know if there are any displays I've missed and I'll add them to the post. Live music, metrognomes, a huge bonfire, a fantastic display and fairground rides will provide an evening of entertainment from 5pm. Tickets are £3 each and should be pre-booked. Find out more here. 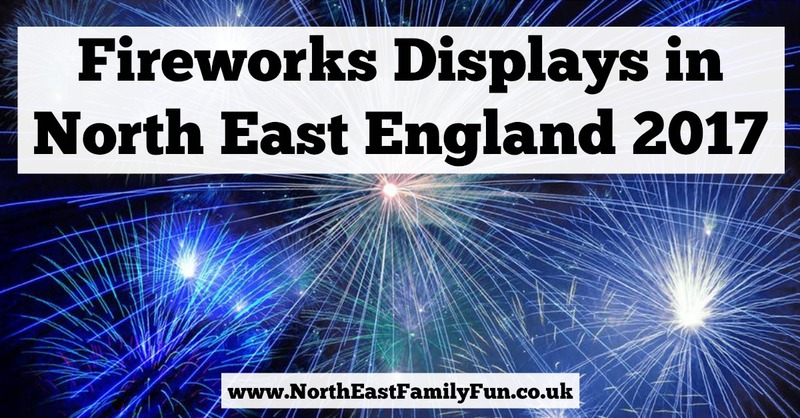 The best viewing point for this free display will be at Cliffe Park or along the sea front. Spectacular fireworks will mark the end of Sunderland Illuminations for 2017. Starts at 6pm. Find out more. This year's display is witches and wizards themed and set to music. There will be a fancy dress competition, fun fair, live music, food and refreshments. Tickets are £5 each (children under 6 are free). Limited car parking £5 per car. Find out more here. Enjoy fairground rides and refreshments from 6pm with a spectacular 15 minute display at 7pm. Free to attend. Find out more here. Remember to wrap up warm and stay safe! I am so disappointed the Saltwell Park display is on the Saturday and not the Sunday night. I think I'll be looking for another display to head to instead so your guide is great. Thanks!